FBI special agent Dale Cooper, better known as actor Kyle MacLachlan, made an appearance at the activation. South by Southwest in Austin, Texas, continues to roll on as the festival switches over from Interactive to Music later in the week, and while some brands pack up their activations, others are just getting started. Showtime has decided to focus on SXSW Music attendees when it comes to promoting its new show, the highly anticipated return of Twin Peaks. 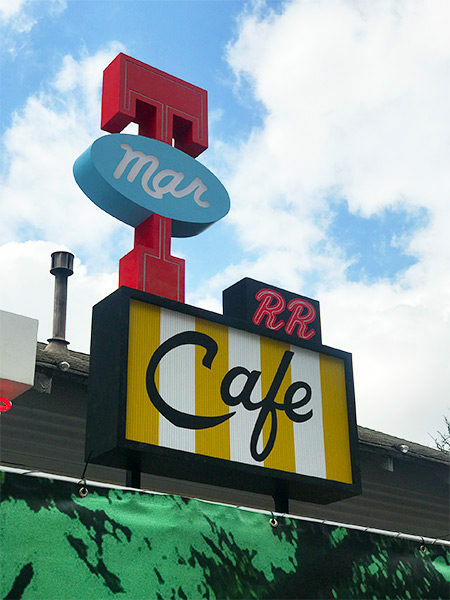 And judging by the throngs of devoted fans lined up to check out the Black Lodge and Double R Diner, it made the right choice. Once inside the house, attendees were treated to detail after detail of Twin Peaks references, like Easter eggs and coffee percolators with (fake) dead fish in them. 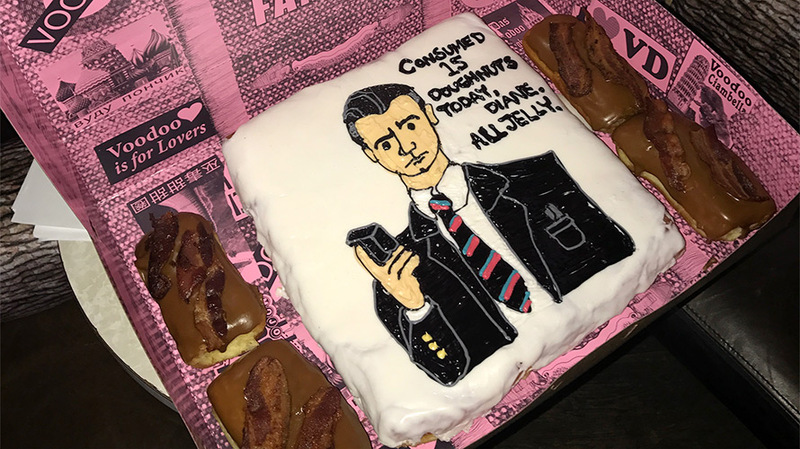 Portland-based Voodoo Doughnuts provided the show’s signature breakfast treat, decked out with the iconic chevron pattern from the Black Lodge’s Red Room, a design also replicated on the stage floor in the bar’s backyard. 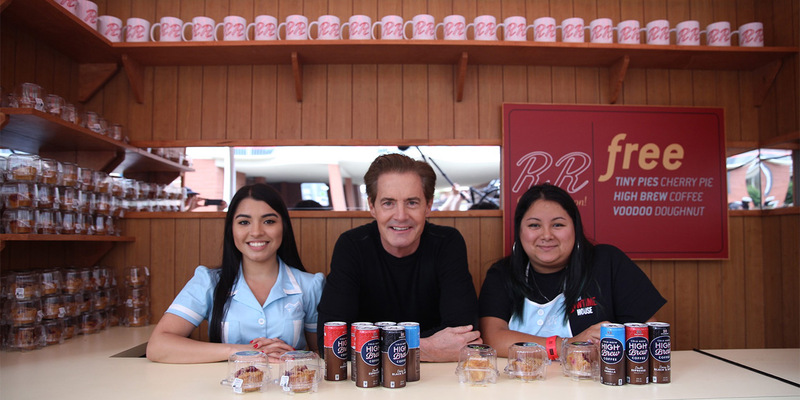 And of course an appearance by the coffee- and doughnut-loving FBI special agent Dale Cooper, better known as actor Kyle MacLachlan. 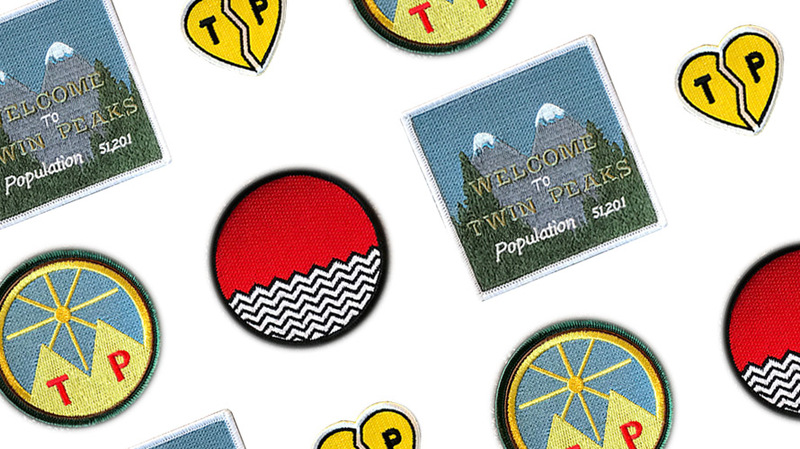 There was also swag, some pretty cool swag if you’re a Twin Peaks fan—with the prize item being a super-limited patch designed by David Lynch, available exclusively for the first 250 people to visit the activation. 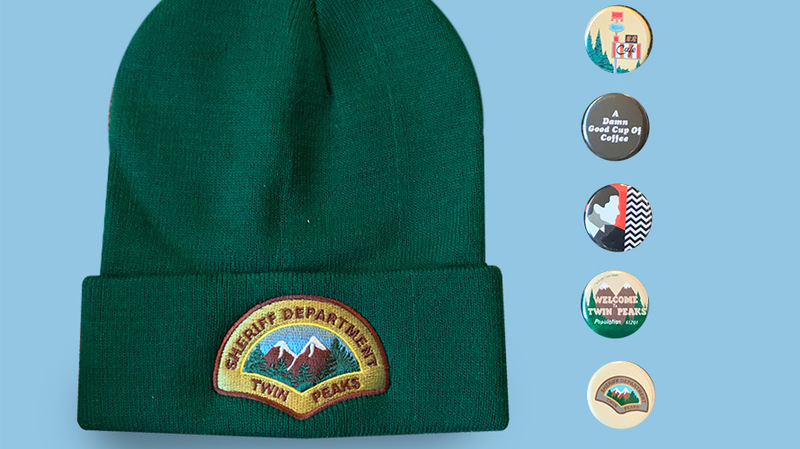 Also available to the lucky fans that made it inside were T-shirts, state-patrol beanies, buttons, more patches and a tote bag, all containing clever nods to the original series. The items you left with depended on the social currency you were willing to spend: Liking Showtime on Twitter, Facebook or Instagram got you a small item like a button. Posting a photo from the activation using a custom hashtag got you a handkerchief or beanie, while signing up for a trial of the Showtime app (because adding subscribers is the long-term goal of the activation) landed you a T-shirt or tote bag. 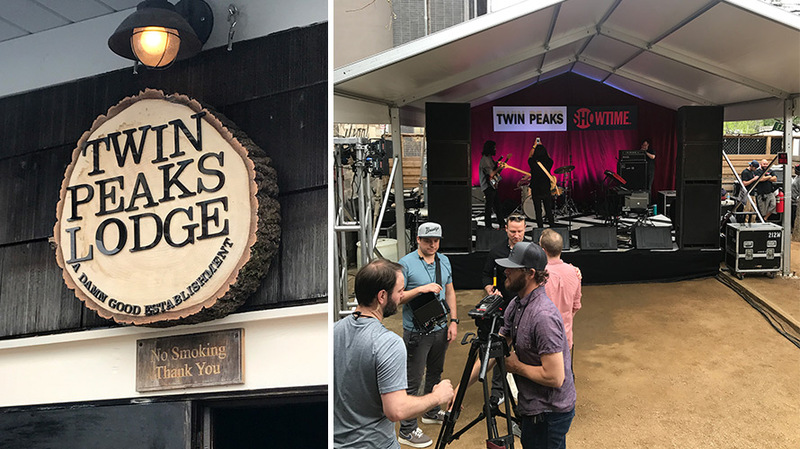 Check out more photos from Showtime’s Twin Peaks SXSW activation below. Twin Peaks returns May 21 on Showtime but expect to see an expansive promotional campaign begin rolling out very soon. Charles Goetz is social media editor for Adweek.